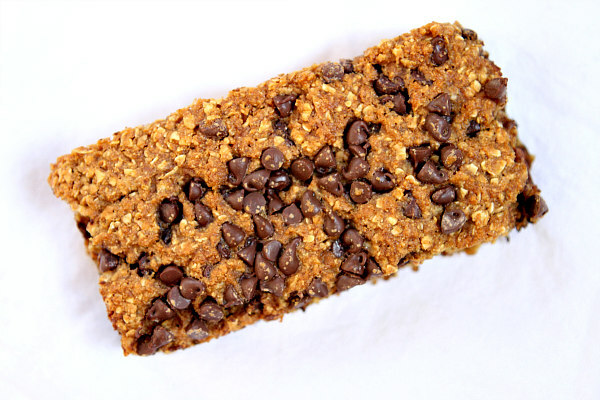 This week I made the best Chocolate Chip Granola Bars you have ever tasted… These soft bars are perfect for everyday snacks. They are definitely better than the granola bars from the store! Every granola bar at the store is terrible. They are either very unhealthy or taste like junk. Companies have recently been trying to make granola bars so healthy that they forget about flavor. 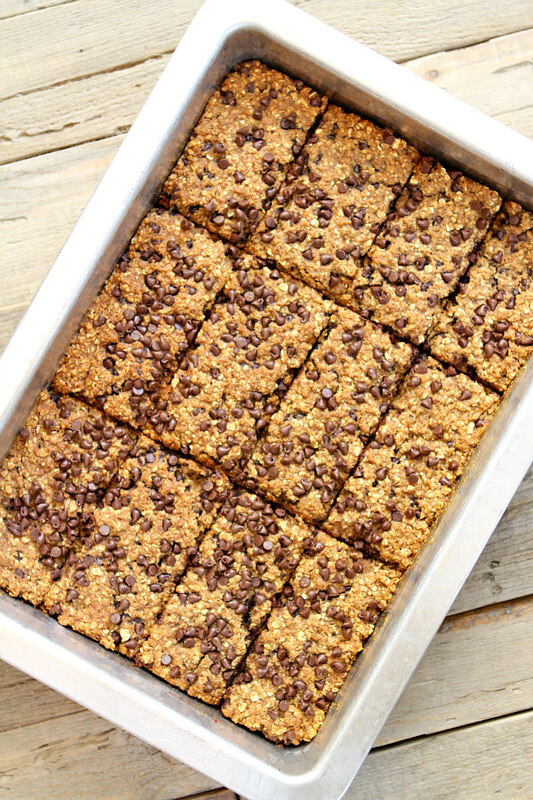 These bars have that perfect balance of health and flavor – they are made with white whole wheat flour. The big granola bar companies have mass production facilities that pump out millions of granola bars. 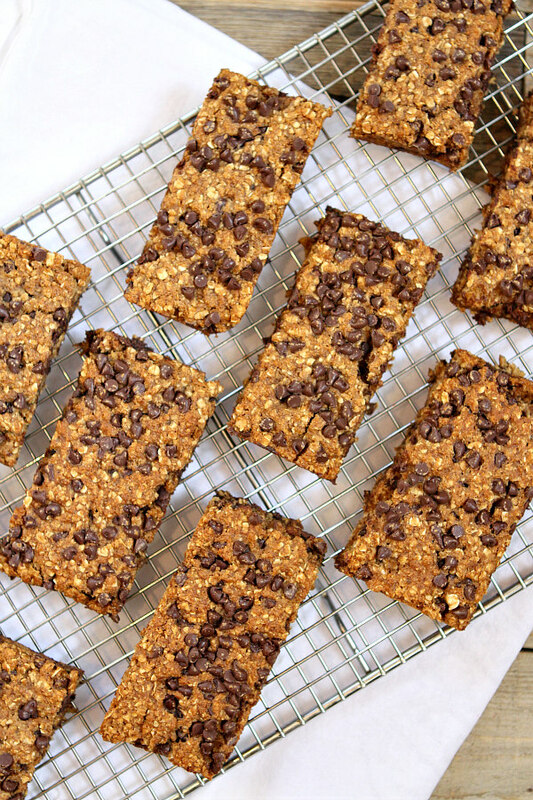 It’s pretty cool to say that you made your own granola bars. 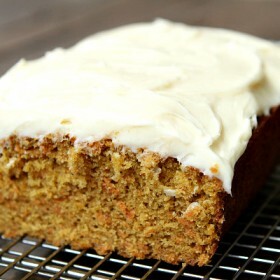 Especially ones that taste this good! These granola bars can be whatever you want them to be. Add mini M&M’s to make it a dessert. I would suggest replacing the chocolate chips with raisins or dried cranberries for a completely healthy snack. There’s just so much you can do with this recipe! Use your creativity and make something amazing. But make sure to let me know what you end up making! 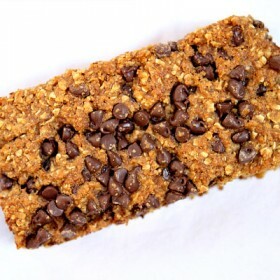 These granola bars are perfectly soft with just the right chewy texture. Not too sweet, but not too bland either. So if you decide to make these, buckle up and prepare to enjoy a really great snack! Preheat your oven to 350 degrees F. Spray a 9x13-inch pan with nonstick spray. 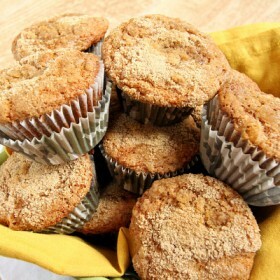 In a large bowl, whisk together the oats, flour, baking soda and cinnamon. Stir in the applesauce, brown sugar and vanilla and mix well. Stir in 2/3 cup chocolate chips. Scrape the mixture into your prepared pan and use clean hands to pat the mixture evenly into the bottom of the pan. Sprinkle a few more chocolate chips on top (if desired). Bake 20 minutes, or until golden brown. Remove the pan from the oven and let cool for about 20 minutes. Carefully cut into bars (12 or 16, depending on how big you want the bars to be). Then move the bars to a wire rack to let them cool completely. Store the bars in an airtight container at room temperature or wrap each of them and freeze until ready to eat. They're great to throw into lunch boxes! These look great. I miss seeing pictures of you making your food! You have the best smile. Keep cooking! I can’t wait to try these. These granola bars look awesome! Lucky for me I have all the ingredients in my pantry. Going to give it a try. Thanks for all your great recipes. These look really good! I love that they don’t use peanut or nut butters since we have allergies. Looking forward to trying them. For how long can I keep them in an airtight container? A few days should be good. They freeze well too. Love these bars. I have to host a birthday party and they fit wonderfully in my little son’s friends’ circle:-) Thank you, Brooks. I wish you a great Easter time.